Audemars Piguet’s ladies watch “Tourbillon”, as Audemars launches their AD campaign aimed at their ladies clientele. Audemars Piguet launches their advertising campaign aimed at their ladies clientele.Belgian top model, Anouck Lepore is the selected face for the campaign. Here we have selected the handwound “Tourbillon” wristwatch. 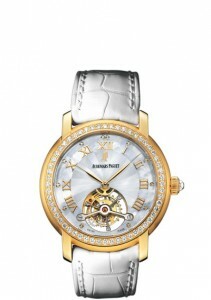 18 carat pink gold case,white mother of pearl dial, white strap. 84 brilliant cut diamonds, 1.4 carats. Jasmine Audemars, Chairwoman of the board of Directors, is the only woman heading a major watch manufacturer. 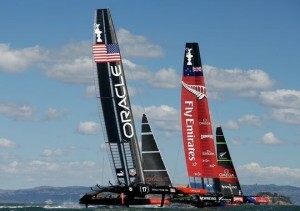 Americas Cup in San Francisco Bay, Thrilling Finish as Oracle Team USA defeats New Zealand. Thrilling Finish as Oracle Team USA defeated Team New Zealand in the Americas Cup 2013, winning 8 straight races, in grandiose San Francisco Bay. Photo Ezra Shaw. Getty Images. £121.875. for Kate Moss in Red, by Allen Jones @ Christies Auction House, King Street London SW1. Paolo Sorrentino’s film “La Grande Bellazza”. Presented at the Cannes Film Festival, 2013, Italian film opens to acclaim in London. Paolo Sorrentino’s film La Grande Bellazza has opened in London. Impressive critical acclaim after having been presented at the Cannes Film Festival 2013. Echoes the great period in the 1960’s of Italian film makers, Fellini & Antonioni. Sumptuous views of Rome and a bitter sweet story that captivates you. With Toni Servillo & Galatea Ranzi. Christies King St.London Auction 25/09/13 of the Gert Elfering Coll. of Kate Moss. Fendi celebrates opening of the new Fendi Flagship store on Via Montenapoleone, Milan. Hilton Istanbul Bomonte opens in February 2014. Hilton Worldwide has over 10.000 rooms in Turkey operational or under development. Hilton Worldwide will be opening the Hilton Istanbul Bomonte hotel in February 2014. In Sisli district, next to the former Bomonte glass factory, with sensational views of the Bosphorus from the 34th floor bar, and impressive lighting effects installed by the Czech crystal glass company, Preciosa. 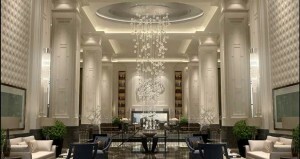 Hilton Worldwide recently announced further Hotel projects for Turkey, bringing Hilton to being the first Hotel operator with over 10.000 rooms operational or in development in Turkey. One and Only Hotel, The Palm, Dubai.Splendid lighting effects & chandeliers in Czech crystal glass by Preciosa Lighting. 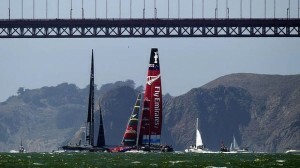 34th Americas Cup.San Francisco Bay. Thrilling Regatta as Climax approaches. New York’s Museum of Art & Design. Fascinating show of vintage Fashion Jewellery until January 20/2014. 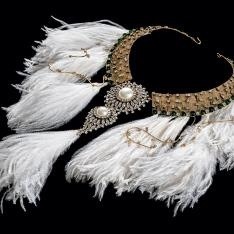 Gripoix ostrich father bib necklace. Drawn from the Fashion Jewellery collection of Barbara Berger currently on show at New York’s Museum of Art and Design. June 25 2013 – January 20 2014. Part of the Collection will close 22/09/13. Currently over 450 pieces on show with objects designed by Miriam Haskell, K.J.Lane, Balenciaga, Marcel Boucher. 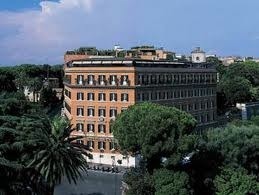 5 Star Eden Hotel in Roma will become part of the Dorchester Collection. In a deal worth an estimated 105 million euros. 5 Star 120 room Eden Hotel in Roma is apparently set to become part of the Dorchester Collection, in a deal worth an estimated 105.million euros. The famous Hotel was a favourite with King Alfonso X111 of Spain & legendary Italian Film maker Federico Fellini. Dorchester Collection is owned by the Brunei Investment Agency, a Sovereign Fund reportedly controlled by the Sultan of Brunei. The Eden hotel is currently owned by the Starwood Capital Group & Lehman Brothers. Starwood Hotels & Resorts Group previously sold the Hotel Principe di Savoia in Milan to the Dorchester Group, 10 years ago. Tom Ford S/S 14. Glam Rock Disco Looks. Leather,Lace & Paillettes. Short ankle boots. London Fashion Week. Tom Ford presented his new S/S 14 womenswear collection last nite 16th Sept. London Fashion Week. Tom Ford presented his new S/S 14 collection in London last nite,16th September. Striking cognac leather mini skirt outfit, with 80’s shoulders.London Fashion Week. Photo Gareth Cattermole/ Getty Images. Tom Ford Glam Punk for S/S 2014. London Fashion Week. Tom Ford. Spring Summer 2014. Glam Punk Disco dress. Strong shoulders. Silvered Sixties inspired paillettes & black cobwebs of lingerie lace. London Fashion Week. Photo Cordon Press. El Pais. Inagist. London Fashion Week. J.W.Anderson. Ultra modernistic. Precision & Splendor Exhibition, Clocks & Watches @ The Frick Collection New York until 2nd February 2014. Frick Collection New York. Gold & enamel pendant watch.Henry Arlaud 1631-1689. Enamelling by Pierre Huaud 11 1647-1698. Geneva c.1685. Much of the Frick collection a bequest from Winthrop Kellogg Edey. Exhibition Precision & Splendor, Clocks & Watches @ The Frick Collection N.Y. until 2 February 2014. Carine Roitfeld recently appointed Global Fashion Director of Harpers Bazaar. A reach of 11 million readers. Carine Roitfeld former Editor of French Vogue was recently appointed Global Fashion Director of Harpers Bazaar. Her magazine “CR” first published in July 13 sold out within 2 weeks. During New York Fashion Week & now during London Fashion Week the Fashion world is a buzz all wanting to view “Mademoiselle C”, Fabien Constant’s film on producing her magazine “CR”. Karl Lagerfeld, Tom Ford et al appear in the film, as does Stephen Gan Fashion Media,publisher of “CR”. As Global Fashion Director of Harpers Bazaar Carine Roitfeld will have a reach of 11 million people. Carine is looking to bring out a scent next, all with a view to developing her own personal “Brand”. Astute. Photo Patrick Swirc for The Telegraph. 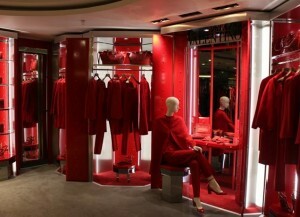 Valentino has launched a pop up store at Harrods, for its Rockstud Rouge collection A/W 13. Gorgeous Cate Blanchette. Claridges Hotel, Mayfair, London, hosts exhibition, “Midnight@Noon”. Drawings of glamchic Claridges visitors. 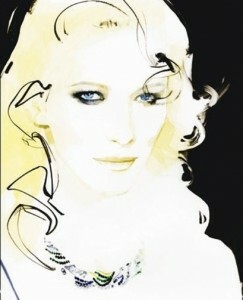 Fashion Artist in residence, David Downton. Bora Aksu, Turkish Designer’s 10th Anniversary show @ London Fashion Week for S/S/ 14. Images AFP/GETTY. Ben Stansall. Ralph Lauren. New York Fashion Week. S/S 14. Ralph Lauren New York Fashion Week, Spring Summer 2014. Stand out Fluo lime green 1960’s inspired skirt & coat & matching patent handbag. Photo Isidore Montag. Daily Telegraph. Tom Ford.Glamour Chic Guru. London Fashion week show scheduled for Sept 16th London. Tom Ford. Sunday Times Style Sept 8th 2013. A profile Sultan of Suave,by Claudia Croft. The clothes photographed are the epitome of LUXE. With Yves Saint Laurent gone, Christian Lacroix seemingly invisible, except for the Schiaparelli tribute for A/W 13, & John Galliano in the wilderness, Tom Ford is indefinable – glamourous chic guru. During London Fashion Week, the next show on Sept 16th is awaited with anticipation. A newly opened flagship store, all silvered mirror and black marble, has opened on “fashionista avenue”, London’s Sloane Street. Tom Ford. Glamour Chic’s Guru. London Fashion Week Show 16th September 2013. 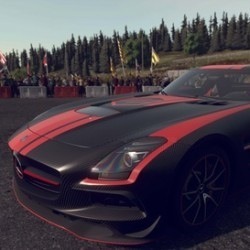 “Drive Club”.Mercedes AMG new game developed by Evolution Studios. Mercedes AMG new game. Gregor Wildermann features an interview with Paul Rustchynsky, Game Director at Evolution Studios, the label’s new “Drive Club” game. Exciting Challenges faced during development & the key roles played by 2 striking Mercedes AMG models. photo Sony Computer Entertainment Europe. Jaguar launch new concept C-X17 SUV, in aluminium. Frankfurt International Motor Show 10- 22 September 2013. 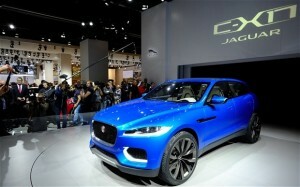 Jaguar revealed the C-X17 SUV at the International Frankfurt motor show. 10-22 September 2013. Advanced lightweight, but strong, aluminium, for a monocoque concept. Ultra efficient engines. Styling of the 4 seater overseen by Ian Callum, Jaguar’s Design Director. Officially incorporated since December 2012, as Jaguar Landrover Ltd. Chris Knapman, Daily Telegraph. 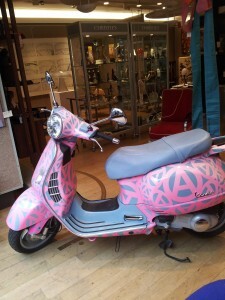 Shocking pink Vespa decorated by Contemporary Artist Simon Periton. Lot 735 to be auctioned at Christies South Ken, Tues 10th September 2013. Mexico a Revolution in Art 1910 1940. Royal Academy London until 29th September 2013. 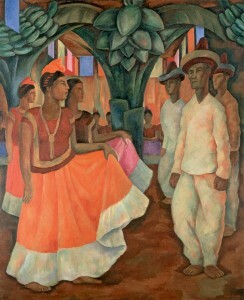 Mexico a Revolution in Art 1910-1940. Including dynamic paintings by Diego Rivera, Frida Kahlo, & Jose Clemente Orozco. Royal Academy until 29th September 2013. La Rosa de Ortega on a hill in Havana, Cuba. Charming Old World villa restored as a hotel, with a swimming pool. CARTIER. Cartier Style & History Exhibition to open at the Grand Palais in Paris 4th December 2013. Cartier Style and History exhibition will be opening in Paris at the Grand Palais 4th December 2013. Cartier Collection & Cartier Tradition, in Geneva, for years, have been searching out and acquiring sensational Vintage Cartier pieces. 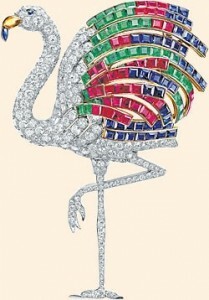 Such as the famous tutti-frutti flamingo made especially for the Duchess of Windsor. 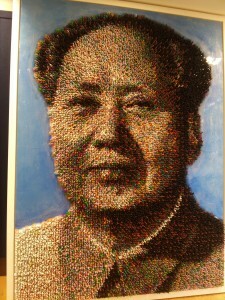 Bought back, by Cartier,at auction through Sothebys for £1.700.000. From exotic to classic – For many years Jaeger Lecoultre supplied the fine watch mechanisms for the Cartier watches, which are also sought after by Cartier Tradition. Cartier Tradition were able to acquire most of the Jaeger Lecoultre ledgers for 1919-1972, most of the period that Jaeger Lecoultre were supplying Cartier, these docs are invaluable for checking authenticity,& ,in some cases, provenance of the vintage Cartier watches. The Light Princess. New Musical due to open at The National Theatre in London in October 2013. The Light Princess new musical due to open at London’s National Theatre, October 2013. Inspired by a Scottish fairy tale written by George McDonald in 1864. The Light Princess is a collaboration between cult songwriter Toni Amos, playwright Samuel Adamson, & director Marianne Elliot. Lecce. 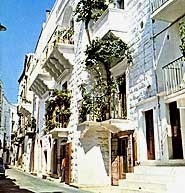 Beautiful, white stone, sun bathed city, ornately decorated Baroque churches and palazzi in the Puglia region of southern Italy. Shakespeare come to Life.